The Samsung Galaxy S4 Mini was launched on the 1st of July 2013. Six days later (on Sunday the 7th of July) I bought the phone on a 24 month contract. Having owned an S4 Mini for a few weeks now I have decided to write a series reviewing the phone. In this series I will be looking at the phone as a whole, as well as comparing it to its brothers and cousins from Samsung’s Galaxy series. I will also be giving my verdict on various accessories and cases that I have tested. The series will post every Tuesday. Introduction over; lets get started! Anyone who has chosen a smartphone will know that it isn’t an easy decision. Most people have a personal favourite brand, however there is a lot of choice which makes it difficult to decide which device is right for you. I have to admit, I had been bitten by the Apple bug. Apple are very good at marketing, and my experience of their products had made me think they were the best. However when visiting phone shops, I asked staff whether they would buy the Galaxy S4 or the iPhone 5, and every single one said the S4; most also agreed that the iPhone is overpriced for an inferior gadget. Apple’s magical effect started to ware off and after asking my friends which phone they would have, I decided that I would be going for a Samsung device. I also considered Blackberry, HTC, Nokia and Google devices, but non really wowed me. The thing I don’t like about the S4 is its size. I think a big screen is great, but the phone is huge! The S4 Mini is almost the same in terms of technical specifications, however is slightly less powerful and much smaller. The S4 Mini is pretty much exactly the same size as the iPhone 5. I feel that Samsung’s slogan for the S4 Mini perfectly describes the phone ‘Minimalism Maximised‘. It is a super powerful, high spec phone, packed into a pretty small case. 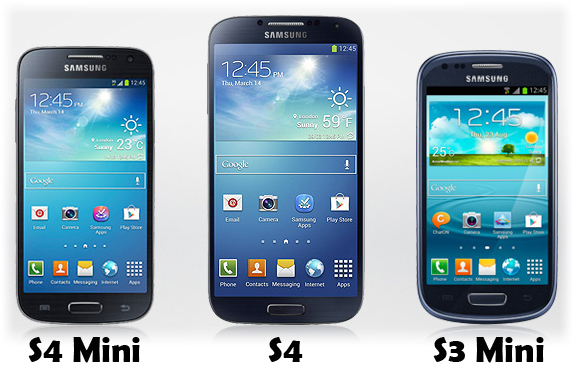 The S4 Mini has the spec of the S3, but the functionality of the S4. In the past Android had a reputation for being an over complicated operating system for the technically minded, however major advancements in the last few years mean that now it couldn’t be easier to use. Something I love about Android is the home screen. Apple’s iOS only lets you store app shortcuts on your home screen, which is a huge limitation when you consider the features Android offers. On my home screen I have the weather, a handful of apps, and a search box. Scroll to the left and I have the news and to the right my calendar. No need to open anything, it’s just there; one of the reasons why I love Android. The fact that it is open source really shines through, as everything is built with users in mind. For example, with iOS, you have to stop every app individually, however with Android you can close all your apps at once. Weather, news, your diary, alarms, music, messages and loads more are right their on Android, without you having to load anything. Data usage, battery status, free memory, you name it, Android will tell you. I think you get the picture: I love Android! Next week I will be looking at a FlexiShield Case for the S4 Mini. Interesting that you touch on the Android OS. I defected from iOS to Android just over a year ago and love it. I did however want to avoid the ‘Disney layer’ that so many phone manufactures add so I went from a Nexus. I think Android is a very capable, stable and intuitive interface so I am never clear why phone providers add their own touches. It also seems to delay an quick updates to the phone software when a new ‘droid OS is churned out. It’s not immediately clear, but I assume from the images there is an extra layer to this OS. Hi David, thanks for the comment. My S4 Mini is running Android 4.2.2 (Jelly Bean). I have no experience of any other versions of Android other than Samsung’s. One thing that they have annoyed me with is in a recent update, Google quietly replaced ‘Talk’ (a great app) with ‘Hangouts’ which it terrible! The battery life is something else which annoys me, I can get two days out of it – if I hardly use it at all! I could honestly drain it from full to 15% in about 30 minutes. Also whenever I am using the phone for something processor intensive, it starts to overheat, which is worrying. That’s probably not an Android issue though. I will definitely consider researching Android more and possibly writing about it as part of my series. The plan is to review a few cases and accessories, compare it to its Galaxy siblings and cousins and generally give my view as to how I am finding it. The Galaxy S4 Mini is a fantastic phone, but its price tag is just ridiculous. It costs slightly higher than the Galaxy S3 which has a faster processor, better display and a larger battery. Also, the S3 is scheduled to receive most of the software features available on the S4 Mini in the upcoming 4.3 Jelly Bean update. I don’t see why people would want to buy the S4 Mini when they can get a better phone for a slightly lower price. Interesting you think the S4 Mini is over priced. My contract (with minutes, texts and data) works out at less than £500. One of the reasons I like the Mini is because of its size. I wouldn’t want an S3 because it’s so much bigger. Yet I can have all that power and most of the features of the S4 in a much smaller device which has almost the same sized screen as the S3. I see the Mini as a win win which is much cheaper than its big brother the S4.